The UP Companies (UPCO) was honored on Nov. 16 with a Workforce Diversity and Inclusion Award from MOKAN, a St. Louis-based advocate organization and facilitator for the inclusion of minority and women-owned businesses on construction projects. The award is presented annually to an individual or organization in the construction industry that demonstrates dedication and commitment to diversity in the workplace and the inclusion of minority and women workers. 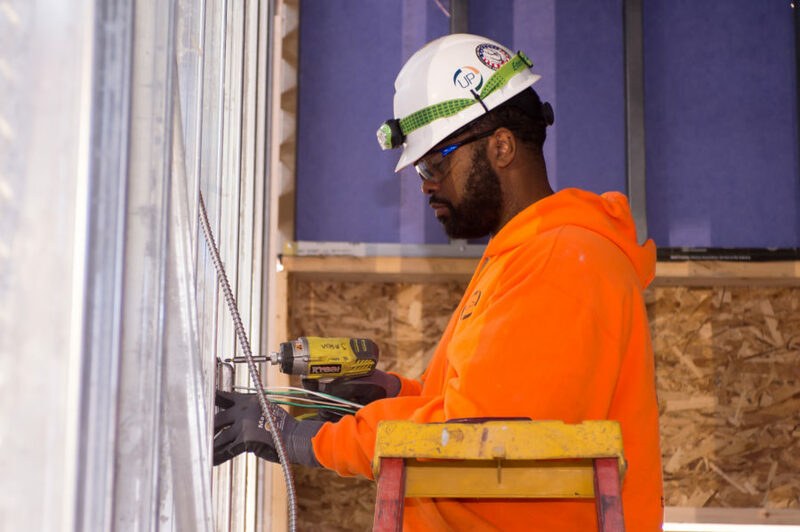 Minority-owned UPCO, which consists of Power Up Electrical Contractors, Square UP Builders and Hustle UP Laborers, has taken great measures to promote inclusion and diversity within St. Louis’ construction industry and its own workforce, and it continues to make a generational impact on the lives of St. Louis area minorities seeking career guidance. UPCO employs a diverse, skilled, union workforce that consistently meets or exceeds minority participation requirements on every project. UPCO currently employs over 75 union apprentices and has grown its workforce from an initial 30 to more than 250, which includes 20% minorities. UPCO has also initiated several programs aimed at recruiting a diverse workforce and encouraging young minorities to pursue careers in skilled labor. Company representatives regularly visit high schools, technical high schools, trade schools and universities throughout the St. Louis area to recruit minority students for training at the Carpenters Union and Electricians Local 57. UPCO even offers its employees incentives to seek out and hire qualified minority workers. Once entered in the union program, UPCO ensures that the students get “the right start” as apprentices by providing them with tools and scheduling their job assignments near public transportation when needed. UPCO sponsors these young adults into the union where their educations are paid for through their benefits package.